Stubble-burning in Punjab and Haryana is currently contributing to 20-30 per cent of the Capital's overall air-pollution, officials said. Air quality in the national capital is gradually inching towards the 'severe' category, largely due to stubble-burning in neighbouring Punjab and Haryana. 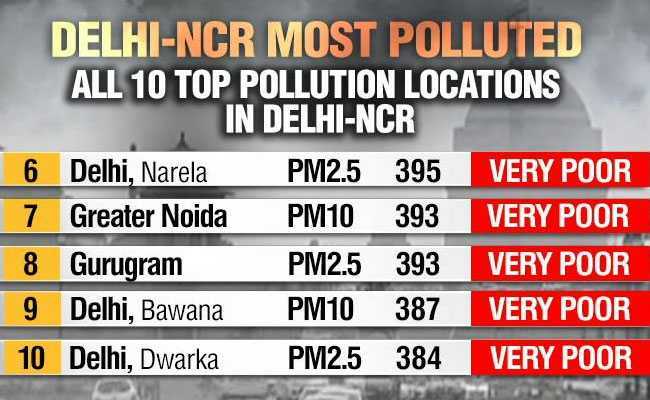 The Central Pollution Control Board recorded the overall Air Quality Index of Delhi at 341. The highest AQI of this season was recorded on Friday at 361. The Centre-run System of Air Quality Forecasting and Research also reported an AQI in the 'very poor' category. 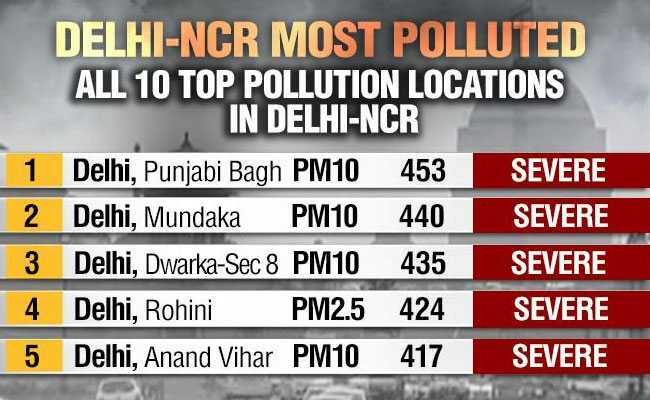 Punjabi Bagh, Mundka, Dwarka Sector 8, Rohini and Anand Vihar are among the most polluted in the city, with the air quality marked in the 'severe' category. Central Pollution Control Board (CPCB) officials said Haryana and Punjab are monitoring the fire incidents, including stubble-burning, and apprising them of the situation on a daily basis. "There are local polluting factors such as vehicular pollution and dust, but stubble burning in Punjab and Haryana is contributing about 20-30 per cent to the Delhi's air pollution," Prashant Gargava, member secretary CPCB, was quoted by IANS. The assessment is based on the data from IITM-Pune, he said. "The wind height could be a reason behind it. Apart from that, winds in Delhi currently don't have a definite direction," he added. The CPCB however warns that the wind direction may change to northerly and north-westerly around November 7, the time of Diwali, which may lead to severe drop in Delhi's air quality. Stubble-burning is done by farmers, the resultant smoke takes the form of smog when it reaches Delhi and regions around it leading to a spike in air pollution. Generally, the first week of November is the time of smog in Delhi, when the air quality reaches beyond severe.